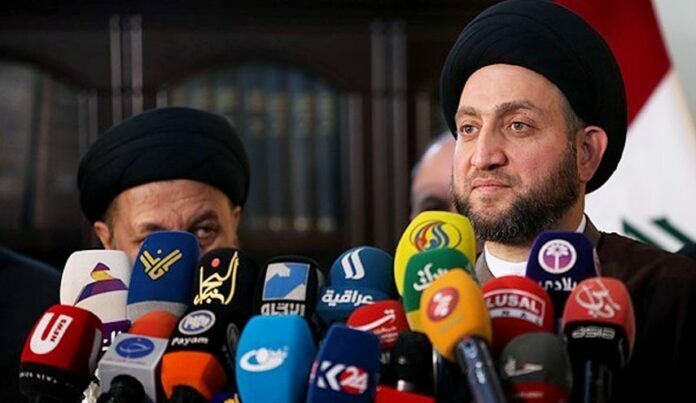 Leader of Iraq’s National Alliance Ammar al-Hakim says the liberation of the Iraqi city of Mosul will be announced soon. The Iraqi army’s ongoing battle against ISIS to liberate the northern city of Mosul from the terrorist group is being carried out with the help of the country’s popular forces, Hakim said during a press conference in Tehran on Monday. “Since ISIS is using the residents of this city as human shield, the progress is slow, but the operation is going on, and we will declare the liberation of Mosul in near future,” he went on to say, according to a Farsi report by Al Alam. Hakim also stressed the need for preserving the Arab country’s territorial integrity, saying that deployment of any foreign troops in any place in Iraq must take place with the approval and coordination of the central government. Highlighting unity, sovereignty and territorial integrity of Iraq, he said that no foreign troops can participate in the operation without the coordination of the central government, Tasnim reported. The National Alliance, comprising all Shiite groups and partisan blocs, is the largest political bloc in Iraq in the post-2003 era that holds 185 out of 328 parliamentary seats.